May buy 1 per customer. Limit 1 voucher per order. 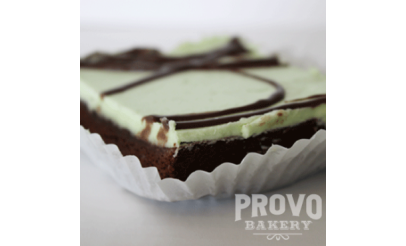 Voucher only available for online orders at TheProvoBakery.com and cannot be used in-store or over the phone. Orders must be placed 24 hours in advance to redeem and are subject to availability. Merchant cancellation policy of 24 hours applies; voucher subject to forfeiture. Not valid for delivery or on bakers holidays. Entire voucher value must be used in a single order. The following Blackout Dates apply: 12/24, 12/25, and 12/31. Valid through: Dec 31, 2013. See the terms that apply to all deals. 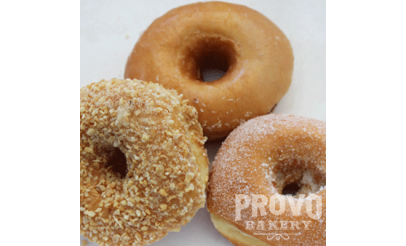 At Provo Bakery, you can enjoy a variety of freshly baked treats including donuts, muffins, brownies, and pies. Click here to view all the delicious options and/or place an order. 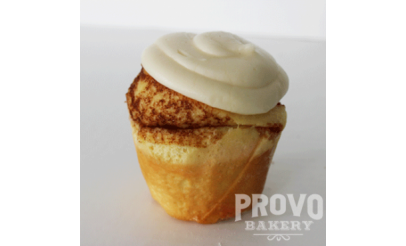 Provo Bakery is a family-owned business that has been in the Provo area for many years. They are always trying to bring you the best of the donut world, which is why their donuts are baked from scratch on a daily basis.